Saving Grace was a wonderful read. I love a good mystery! And if there happens to be some romance between the covers (of the book!) – well, that’s okay with me. 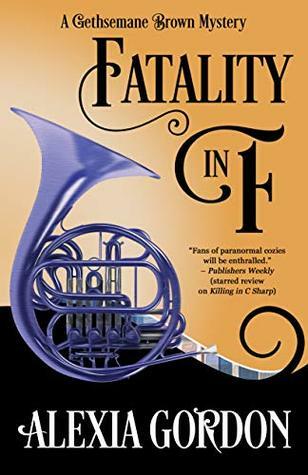 I read some very good reviews of a later installment in the What Doesn’t Kill You series by Pamela Fagan Hutchins, so I thought the first book in the series would be a good place to start. We start off in the Dallas legal world, but after some lawyer shaming we end up on St. Marcos, an island in the Caribbean. Do you remember in The Wizard of Oz how the movie starts in a sepia tone, but then when Dorothy lands in Oz it’s all color? That’s how I would contrast Dallas and St. Marcos. When Hutchins describes St. Marcos – the locals, the beaches, the tropical vegetation, the island food, the buildings – that is where this author’s talent really comes shining through! Another example is dialogue. The local slang was keenly weaved throughout the dialogue, such that the reader could get a pretty good idea of how the people talked, yet not so much that it slowed the pace of the story. Katie Connell is the protagonist. She’s a lawyer that consequently decided to skulk away after a career-jarring and embarrassing episode in a Dallas courtroom. What I like most of all about Katie is that she’s “nobody special.” She’s pretty easy to relate to. Katie has the same flaws as many of us. She has her heart broken, she has an alcohol problem. She still needs to find closure on the deaths of her parents years earlier. They were killed in a car accident on that same Caribbean island. It was a treat to tag along with Katie on St. Marcos! Regardless of her situation, she never loses her sense of humor. Furthermore, add a sleazy detective, a pompous politician, a rundown mansion with a strange past, and we begin to see the world through Katie’s eyes. I thought the characters were well developed. The pacing was good, and the rise in conflict leading to the climax was excellent! There were no SPAG issues, and the book seemed to be well edited. Will I follow Katie into her next mysterious adventure? You bet! Posted: December 1, 2017 December 1, 2017 . Posted in: Book Reviews. Bookmark the permalink.